Featured Writer Rudy Hartmann offers advice for what to do when you don’t know what to do in college ministry – PRAY. One of your core leaders just called and has decided to step down from leadership and walk away from the church. Admin at your university just emailed you saying there’s a new LGBTQ inclusivity clause you have to sign to retain RSO status. Three of your largest supporters have decided to stop their contributions – on the same day. Your wife just let you know she’s disappointed at the way you’re orienting your time with her around your work, not your work around her. Your regional director just told you that you have one more semester to show ministerial impact and improvement, or he’s relocating you and your family to a different campus. We all have our stories. We all have our valley moments. We all have desert seasons we can point to in which the situation seems hopeless. For me, it was February and March of 2016. 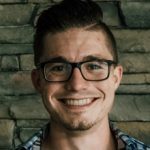 I was a year and a half into leading the second college ministry I’d started and, from the outside, things looked good. Students were getting baptized and stepping into leadership. The ministry was growing. I was integrated into the staff and the community of the church, had an amazing pastor who was both my mentor and friend, and had a couple of stud guys who were considering church planting after graduation and indicated they were willing to go when we planted a campus to the north. And I did. I did for six weeks. I would open the word and confess to God that I didn’t want to read – and then I would. I would wake up and confess that I didn’t want to get out of bed, meet with anyone I was discipling, or teach that evening – and then I did. When you have no idea what to do, you can admit it to God in prayer. When you find yourself deeply depressed or excessively prideful, you can admit it to God in prayer. Read this slowly: Our presumptuous prayers float to ears that hear us and know us far past the facade our posturing creates and reveals into a heart that has no secrets and a soul that lies open before it’s Maker. Your students will model their prayers after yours. When you pray in any context, what are you teaching them about God? About prayer? About your recognition of yourself and your awareness of sin? What if the honest prayers you pray before and with your students to God in stressful, sinful, proud, and difficult seasons was actually a very real means of discipling them? Each of us have either just come out of a season where we didn’t know what to do, are just stepping into one, or find ourselves in the middle of one in our collegiate contexts. The culture is shifting at such an unprecedentedly rapid pace that these moments in the realms of ethics, orthodoxy, leadership, structure, and teaching will continue to arise. So when you don’t know what to do, don’t first go straight to a whiteboard. Don’t first try to Patrick Lencioni your way out of it. Don’t even first come here to the Collective for an answer. Pray an honest prayer. Admit your weakness before an Almighty God.